Alyssa Harden isn’t in the military, but she is serving our nation. 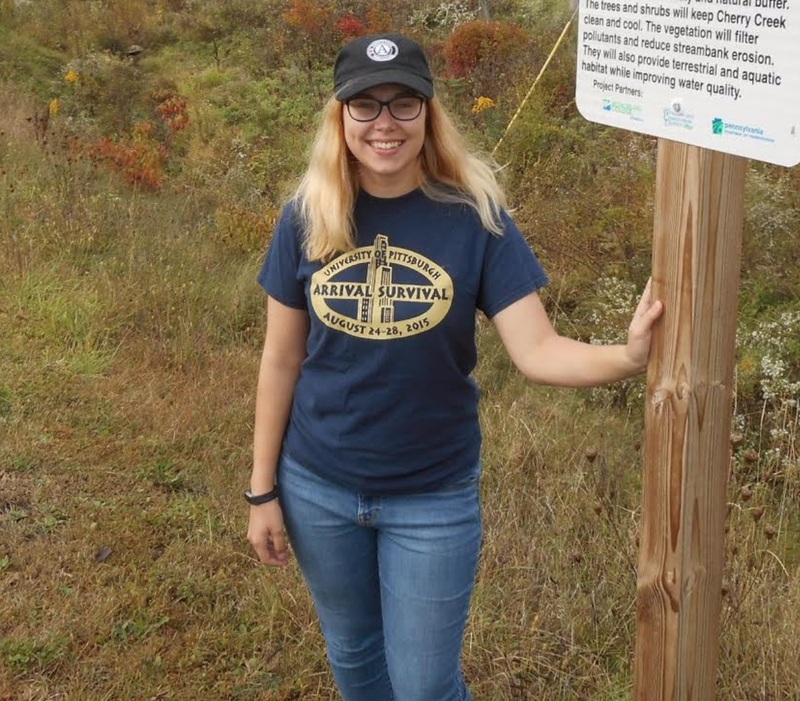 In fact she’s one of more than 80,000 citizens who are volunteering their time, energy, and talents in service to America through a program called AmeriCorps at the Westmoreland County Conservation District. Similar in philosophy to the Peace Corps, but focused within our own country, AmeriCorps members do a lot of good things for other Americans. Some offer help during hurricanes, forest fires, and other disasters…some build houses for people living in poverty…and, some like Alyssa, focus their energies on improving our environment. 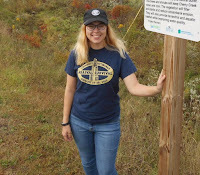 Since joining AmeriCorps in August, Harden has been in Greensburg with the staff of the Westmoreland Conservation District, and her goal is to help improve the water quality in Westmoreland County. In the past few months, she’s been involved with the Conservation District’s projects to reduce the amount of soil that gets into streams from unpaved roads in the county. And she’s also been providing support for the water-quality efforts of area watershed and trail groups. The August graduate of the University of Pittsburgh likes the program and the work. She especially enjoys the fieldwork and hopes to do even more during her tenure with the program, which continues until August of 2018. This is the first AmeriCorps member the 68-year-old Westmoreland Conservation District has hosted. “Some of our sister agencies, such as the Armstrong County Conservation District, have hosted AmeriCorps members for many years and always spoken very highly about the program,” said Westmoreland Conservation District Manager/CEO Greg Phillips. Harden, a 2014 graduate of Plum Senior High School, lives in Holiday Park, Allegheny County. For more information on programs, initiatives, education, assistance and upcoming events, visit the Westmoreland County Conservation District website.